Today i thought i’d run you through one of the biggest amazon seller problems we have faced. Then i’ll take you through some of the other common problems amazon sellers tend to experience at some point (this way you’ll be well prepared). Not everyone talks about the bad stuff that happens and i feel like it’s helpful to know what can happen. We started out on amazon around three years ago now and i remember this problem like it was yesterday. For any of you that don’t know me, my name is Nick and i’m a full time amazon FBA seller. I’ve started this blog to document everything we are learning along the way. Hopefully you can learn a thing or two from our successes as well as our mistakes. Amazon Seller Problems – What’s The Worst That Can Happen? Our amazon business grew pretty quickly which we were obviously very happy about at the time. The only issue we had was our inexperience in selling physical products online. This meant that we were open to rookie mistakes due to us diving into most opportunities head first. Our first product took off like wildfire, it was such a rush. We were all still working full time so it was very exciting to have a side hustle growing so quickly. Because of our initial success we decided to launch a second and third product pretty quickly after that (i’m glad we did). It was actually a pretty cool product, well except for the fact that a lot of our customers started complaining about it leaking everywhere in their gym bags. Not ideal… But regardless on the whole it sold pretty well. This product actually taught us a number of useful lessons, i’m going to run you through each of these within this blog post. The leaking was of course a problem we didn’t want to ignore, but the worst was yet to come. The email went onto say that our listing had been suspended and they would only consider reinstating the listing if they received permission from the rights owner. They went onto provide an email address for the rights owner and encouraged us to get in touch. We had absolutely no idea what was going on, our best selling listing had been suppressed and amazon wouldn’t tell us why. I completely understand amazon’s position, they are not there to litigate two sides of a legal argument. Amazon are very simple, if somebody presents evidence of infringement they will remove and suspend the listing in question. We had thousands of units sitting in amazon and we didn’t even understand what had happened. Well it turns out that we were in fact infringing on somebodies design patent. Of course this wasn’t our intention, due to our inexperience we had picked a product with a unique patented feature. The first few suppliers we dealt with were from China, of course it’s a popular choice with many importers because of the profit margins and production capability. This particular supplier was based in China, they claimed to have no knowledge of the design patent and they continued to offer the product on Alibaba for some time. 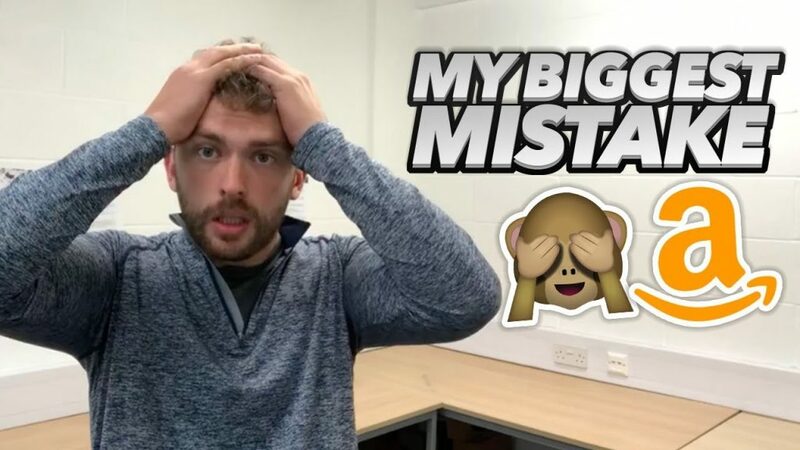 This was one of the biggest amazon seller problems we’d faced, we accepted our inexperience was to blame, we just wanted to make sure it didn’t happen again. So… How can you avoid making the same mistake? Let me run you through a few things that will help you avoid infringing on other peoples intellectual property rights. It has to be said, the supplier of our product may not have realized that somebody held a patent for this particular design feature. Generally speaking, Chinese suppliers are keen for real continuous business, the majority of suppliers i have dealt with tend to be very fair and conscientious. It’s still important for you to do your due diligence when looking for suppliers on Alibaba. We’ve put together a video to help you find trustworthy suppliers on Alibaba, we’d love to hear your thoughts on this. There can still be a risk even with the best suppliers, so what else can you do to ensure you are not infringing on somebodies intellectual property? Our Amazon seller problems don’t have to be your amazon seller problems. Lets start at the beginning, you’ve carried out your product research and you’ve found a product you’d like to private label and sell as your own. I like to do a few things before i start looking for a supplier. Search the Amazon marketplace and look at your main competitors, are there a few different people selling this product? 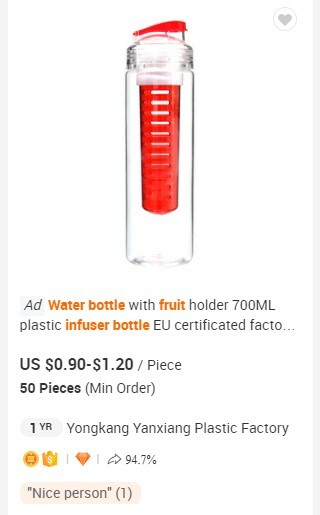 If there is a only one seller of the product this would be a red flag for me, usually if there is one seller it will be for a good reason (They hold a patent for the product). Dive a little deeper when looking at your competitors, have a look at their websites and check for any record of a patent number against the relevant product. If a company has gone to the expense of filing for a patent, you can almost guarantee that this will be mentioned on their website. Search Google Patents and search for the product. Google patents can be a little tricky to navigate, try using different keywords. Use the search filters to drill down on your search results, you can search using the inventors name if you wish. I always make sure i’m looking at the correct patent office too. Build a relationship with a Patent Attorney/Lawyer. A lot of the professionals will offer a free consultation, this will help improve your knowledge of the subject. Obviously this can become quite expensive but in the long run it may well prove to be a valuable investment. Common sense is one of the best tools when it comes to checking for patents and trademarks, take your time to do the research and you’ll save yourself a lot of money in the long run. Also keep an eye out for products with a feature that’s a little different to the others in the marketplace. This is how we were caught out, we’d gone for a product that a lot of people were selling although without knowing we’d picked one with a specific “patented” feature. A lot of the advanced amazon sellers will look at a product idea, and ask themselves “How can i improve on this?”. Ok so i think this is a really useful point to think about, in the long run the “best” products will succeed on Amazon. But what do i mean by that? Well as we all know Amazon is a company that is built around the customer and their experience on Amazon. They want to push all of the best products to the top of their search engine, and it makes sense! The easier it is for customers, the more money they will spend. Before you jump into an order with your supplier have a think about the current products on the market, is there anyway you can improve on what’s out there? I obsess about this before i decide on any product. I like to look at the negative reviews and look for reoccurring complaints from people that have bought the products. 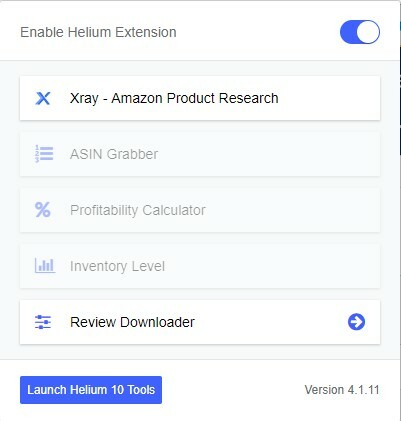 You can easily analyze review data quickly with Helium 10’s review downloader it’s a free feature within their chrome extension. They actually have a load of useful tools when it comes to product research, i use at least one of their tools everyday. Anyway, understanding what people don’t like about the competing products can enable you to launch a dominant product alternative. This can change the game for you as an amazon seller. All you need to do is find a suitable supplier and talk to them about the problem you’d like to improve upon. You could build your marketing campaign around this very point. Do you see the value in analyzing your competitors negative reviews? Trust me it’s gold dust! I explain exactly how i do it in the following video. Amazon seller problems don’t have to de-rail your business, we like to think of these issues as learning opportunities and you should do the same! So.. what other common amazon seller problems should you be aware of? I don’t like to focus on the negatives, in our business we always say come to us with solutions not problems. This can allow you to adapt your strategy to make sure you avoid making similar mistakes in the future. It’s pretty simple your profitability will determine the success of your products on amazon. Before i decide upon a supplier i will take the time to work out my bottom figures first. This is really easy to do, Amazon have a fee calculator to help you work all of this out. Enter one of your competitors products into the fee calculator to help you work out the potential costs from amazon’s side. This will include their referral and fulfillment fee. You’ll also need to work out your taxes, if your in Europe you’ll have VAT to think about. Once you know about all of your associated costs, you are in a position to work out how much you can pay for each unit as well as how much profit you will be making on each sale. Take the time to do this before you start looking for a supplier. This is usually just referred to as FBA, it’s pretty simple – You send your products into one of Amazon’s warehouses and they will pick, pack and ship out the items to your customers. 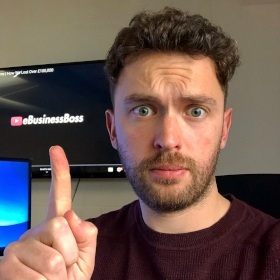 Our business has been built on the Amazon FBA business model, the opportunity it presents is unbelievable. It’s great to know that somebody is handling the fulfillment side of your business, however this means it’s impossible for you to have your own eyes on your products. In the past Amazon have lost and damaged a fair few of our products, of course they will reimburse you for any products that fall victim to their systems. BUT…. You still need to keep you finger on the pulse. Amazon don’t always tell you about lost or damaged stock. Every month we run a lost and found report through another of helium 10’s tools (Refund Genie). I’m glad we did because as you can see the software worked out that Amazon hadn’t accounted for nearly $10,000 worth of stock in the last 18 months. So yer, Amazon FBA is great but you still need to make sure you are keeping a careful eye on your inventory. Amazon seller problems come in all shapes and sizes. Listing optimization is also a common problem for amazon sellers. Amazon is after all a search engine, and you should be doing everything you can to get to the top of that search engine (for your relevant search terms). We have actually written an article that should help you with your amazon keyword research. Take time to understand Amazon SEO, in the long term you’ll be grateful you did. In the long term only the best amazon sellers succeed, are you putting in as much work as your competitors? If you are interested in building a serious amazon business you should take the time to invest in serious amazon seller tools. This is a classic, a lot of amazon sellers believe that selling on amazon means getting involved in a race to the bottom, well i’m here to tell you it doesn’t have to be this way. My advice is simple, focus your time and efforts on building your brand. Build your brand on and away from Amazon. Amazon is a shopping platform, naturally customers will look at reviews and the level of pricing but this doesn’t mean that this is all you should focus on. Build a relationship with your customers by adding more value than they expect, ask yourself the question… What more can i do for my customer? Competition doesn’t have to be your problem as an Amazon seller, i like to look at my competition as an opportunity to improve my business. Grow your brand awareness on social media and communicate with your customers as much as possible, do this and you won’t have to worry about your review levels. Anyway, i think that’s enough from me for today. These are the main amazon seller problems we have come up against, i’d love to hear your thoughts, maybe you’ve suffered with something i haven’t mentioned! When i first started building my amazon business i looked to get involved in as many amazon communities as possible. I’m a member of a lot of different Facebook groups but the best source of help and information has always come from Reddit. I’ve actually written an article running through my favorite amazon fba reddit communities. Anyway thanks for reading, there will be more from me very soon! I used to have a retail website with dropshipping but the length of delivery was long back then and Amazon wasn’t as big. I think Amazon is where one really needs to be today with selling online. Thanks for the tips here. Hey Lisa, Thanks very much! Yer delivery times have changed alot, i think its going to continue to change at quite a rate. I mean in places amazon offer one our delivery now, that’s pretty crazy. Thanks for checking out the post!